F.H. 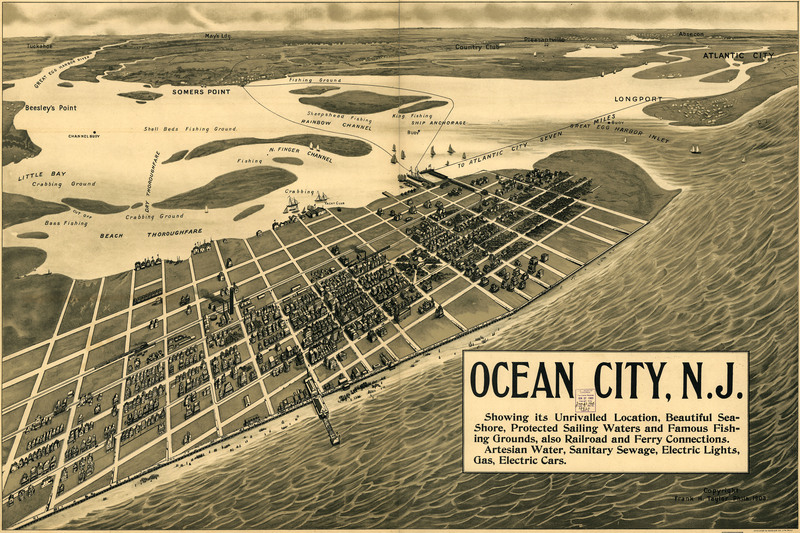 Taylor's birdseye map of Ocean City, New Jersey in 1903. 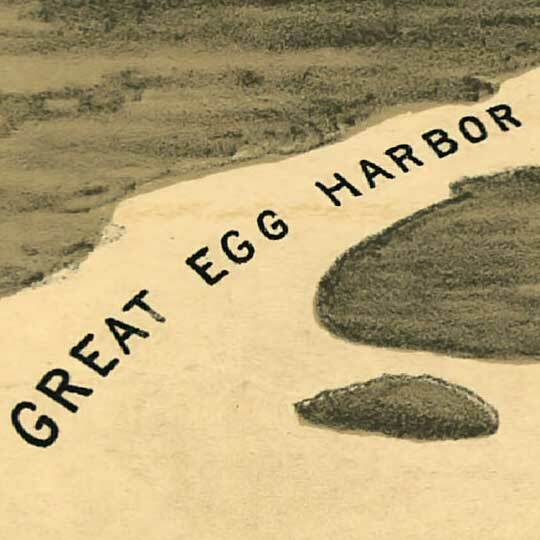 Frank Taylor's only birdseye map that I could find is this rather conflicting map of Ocean City [gmap], New Jersey. This map -- no doubt made to move some real estate -- has some lovely touches on the rendering of individual structures, but the entire composition is just absolutely sabotaged by that garish use of perspective. For more maps and images from this period in the region's history, visit the New Jersey Historical Society.